The smile… the universal way we communicate health, beauty, friendliness, confidence, success, acceptance. It’s no wonder that we all want a healthy smile. Tooth whitening commercials and dental treatments are all too eager to give us one of those smashingly white smiles we see on all the ads on the internet, TV and in magazines. But what are the drawbacks of these cosmetically generated white smiles? How to whiten teeth naturally is the focus of this series. We will address the risks of commercial whitening strategies in an upcoming article. However, in today’s discussion we want to clearly lay down what we consider the first step to having a naturally whiter smile. We find the following story very helpful in bringing this first step into clarity. Let’s say you are in a small row boat in the middle of a lake. You look down and notice that there is a drain hole in the bottom of the boat and the plug to the hole isn’t in place. In other words, the boat is taking on water fast! There is a bucket on the boat as well as the plug to plug the hole. Which do you do first, begin bailing out water with the bucket or put the plug in place? Of course, we all would answer this the same… Put the plug in place first to stop the boat from taking on more water, THEN begin bailing water out with the bucket. So let’s turn our attention back to naturally whitening our teeth. Which do you do first, apply whatever whitening technique you choose or figure out what habits you have that are causing your teeth to be less than pearly white? So, the first step to having naturally whiter teeth is to make some simple changes to your daily habits that may be causing your teeth to discolor. The first step is to identify what habits you have that are causing your teeth to discolor and either stop the habit or figure out a way to enjoy the habit without discoloring your teeth. In this way, we are ‘plugging the hole in the boat’ first. Once we stop whatever habits we have that are staining our teeth, then we can shift our attention to bringing back the white of our pearly whites. The good news is it’s pretty easy to identify the main causes of what may be discoloring your teeth. The bad news is most of the culprits are well engrained or downright addictive habits. In later articles in this series, we will cover strategies you can apply so you can ‘have your cake and eat it too’. In other words, what if we enjoy some of these habits that stain our teeth and still want a whiter smile? We’ll cover strategies to help naturally whiten your teeth without destroying your enamel soon. For now, let’s stop the staining or at least figure out ways that we can enjoy the staining habit without the same negative impact on our teeth. By a longshot, these handful of habits are the most common reasons why teeth discolor. Regularly drinking coffee stains teeth. Now, I can hear your internal coffee ‘Gollum’ screaming at me right now. So, keep reading as we will discuss easy strategies how to mitigate the risk of staining from coffee. Let’s face it, these daily caffeinated drinks are dark and are the main culprits for discoloring our teeth. This goes without saying. Needless to say, if you are a regular smoker, your teeth aren’t the only part of your body that are being damaged. I know this is a tough habit to break. Thankfully once a person really, really decides to make the change, it’s rather easy. When drinking any staining drink, have a glass of water with you. That way, when you finish your cup/glass, you can take a mouthful of water and swish it around for 10-20 seconds to help clear the culprit of choice from sitting on your teeth. You could even take sips of water after each sip of coffee/tea/wine. This would help even more to lower the time the staining drink impacts your teeth. Another effective strategy is to become more conscious how you habitually drink. While this may seem strange, even the way we drink can be adapted to be healthier for us. At the time I was also experiencing tooth sensitivity on the outer (cheek) surface of my lower molars. I finally identified that the sensitivity was being caused by the way I was drinking my daily kefir smoothie. So, I simply changed my habit and started taking smaller mouthfuls of kefir so I wouldn’t have to ‘squirrel cheek’ the excess and the sensitivity went away. So, observe how you drink your coffee/tea/red wine. Do you allow it to wash over your front teeth? Do you let it sit in your mouth before swallowing it? Most importantly, can you figure out a way to take sips without having the drink continuously bathe your front teeth? Can you use a straw (iced tea)? These are all good questions to stop the culprits causing most ‘less than white’ teeth. Keep an eye in the coming weeks for our follow-up articles on this common subject where we will detail the risks of whitening techniques and how to whiten your teeth naturally without destroying your teeth. If you’d like to take a deeper dive into natural ways to whiten your teeth without compromising your enamel, download our FREE resource guide, “How to Naturally Whiten Your Teeth (without destroying your enamel)”. Now it’s your turn. What do you do to keep your smile whiter and brighter? I occasionally brush with activated charcoal and it works great. Do you know of any problems with this method? Hehe, as I’m going through answering comments, I just answered this. 🙂 Please see my response to Laura one comment away. Ginger root contains zingibain, a proteolytic enzyme that helps to break down proteins improving digestion. Ginger also works to neutralize stomach acid and increase the secretion of digestive enzymes in the stomach. Ginger juice is very effective in preventing cancer and also killing the cancerous cells. The gingerol compound has shown to have anti-metastatic properties and can help treat cancer. Ginger juice helps in detoxifying the body of all toxins and harmful substances making it very effective in preventing cancer. The active compound in ginger, gingerol is a powerful anti-inflammatory agent. Gingerol inhibits the production of nitric oxide in the body which can form a damaging free radical called peroxynitrite. Peroxynitrite and other free radicals cause damage to cells which may accelerate aging and cause diseases like cancer. Ginger acts as a blood thinner and reduces blood pressure in people instantly. You can have ginger juice with a few drops of honey in order to make it tasty. Ginger improves blood flow by expanding the blood vessels. It also acts as an anti-coagulant, preventing blood platelets sticking together in the same way that aspirin does. Due to this it also helps in preventing heart attacks. Drinking ginger juice reduce the risk of Alzheimer’s disease. It has been proven to slow down brain cell decline, even preventing the brain cell loss that is usually viewed as the beginning stages of the disease. It’s one of the best benefits of juicing ginger, as it will keep your mind healthy and sharp! Ginger is a great agent for reducing cholesterol as it as it helps remove the blockages in the flow of blood vessels which could lead to heart attacks. Ginger juice is loaded with antiseptic and cleansing properties which helps in cleansing the skin of its impurities. Regular intake of Ginger juice helps reduce acne or pimples. The antibacterial properties present in ginger juice help fight acne causing bacteria. I was wondering how you both feel about using activated charcoal to whiten teeth? It seems to have gained much popularity over the last two years. There are several Youtube videos detailing how to use it as well as the Wellness Mama is a fan of it too. Do you believe there can be any negative side effects from using it? Thank you for stopping by to ask us. We are honored to offer our input on this subject. 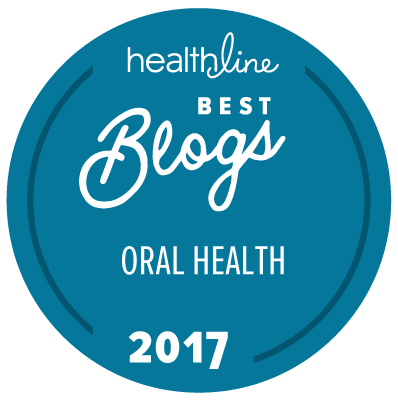 You’ll hear a lot more about this in upcoming articles, but activated charcoal is one of the ideas we appreciate to naturally whiten teeth. While it can be a bit ‘scratchy’, its strong charge helps to ‘grab’ any staining material from the shallow tooth surface and remove them. The trick to be aware of is 1. to make sure that the charcoal is ‘activated’ and 2. to know that activated charcoal binds to everything. So, for example, we strongly suggest that you rinse after as activated charcoal can inhibit mineral absorption if ingested. It seems that my teeth have never been nice and white. I remember looking at my second teeth when they were coming in and wondering why they weren’t really white. Can teeth that are not naturally white be lightened to be more nearly pearly white? Thank you for reaching out to us here. We are honored to help in anyway we can. There’s always some latitude to making teeth a bit whiter. However, there is a limit as to how white teeth will become. If you recall that your teeth have always been less white hues, there could be other factors. We have read many stories of individuals who were exposed to medications in childhood (tetracycline mainly) who report discoloration since childhood. Another common culprit is over fluoridation while the teeth were forming in childhood. Twice weekly, I use activated charcoal to brush then gargle/rinse with peroxide & follow-up with a good water rinse then gargle/rinse with a homemade essential oil/water solution. The remaining times I use OraWellness. I don’t think this is helping whiten my teeth and am not sure anything will whiten my teeth. I’ve been told they were discolored due to childhood medications. The teeth are actually two colors, lighter/whiter on top and a yellow tone on the bottom half. It would be great if you could address this problem in one of the upcoming articles. Thank you for stopping by to share your experience with us. We have read from our research on this subject that tooth discoloration from medications or over fluoridation in childhood are some of the toughest to whiten. There are some cosmetic dentists who claim that they can whiten even these childhood medication induced discolored teeth. We question the risks of such treatments (as you’ll see in upcoming articles). When I drink wine or coffee (also eat tons of turmeric), I enjoy rinsing with activated charcoal before brushing — it works much better than the bleaching trays I got from the dentist years ago without creating any sensitivity. Thanks for letting us know Danielle. We appreciate you sharing your story with us so others can benefit from your experience as well. Danielle-can you tell us how you prepare the activated charcoal rinse? Hello Will, thank you for addressing this problem.I am drinking a lot of green/white tea and use a lot of fresh turmeric in my food which discolors my dishes as well 🙂 I have a “multi-colored” mouth due to implants,crowns and still some of my own teeth. Will your advise cover other than natural teeth as well? I’ve just finished writing an article on the risks of tooth whitening treatments but the article was getting so long that I chose to not include the studies on the effects of whitening agents on dental restorations. Our research suggests that dental restorations are for the most part unaffected by whitening/bleaching treatments. The exceptions being composite fillings and zinc based restoration cements (which could prove pretty problematic). i try to rinse my mouth right away after “staining or acidic liquid” (tea/coffee/grape juice, red wine…) my teeth still stained easily. i was told by a dental hygienist that my teeth surfaces were uneven w/ lot’s of crevices hence stained easily. since i changed my diet, my teeth just do not stain easily, despite same amount of tea/coffee. Excellent to hear that since shifting to a healthier diet your teeth don’t stain as easily Pam! Excellent idea to rinse after anything staining or acidic. Great article, Will. We appreciate your DIY links – however, you and Susan are on top of real quality, organic, wildcrafted, etc. essential oils and other ingredents. We are waiting for you to put together or recommend a top-quality toothpaste that we can trust. Any prospects in the near future? The first question in any purchase cannot be price or quality. It is “Who is my money supporting?” Then price and quality. I have started using concentrated ozonated coconut oil after pulling and irrigating. I put a small amount on a soft brush and gently brush. I see a difference AND I see brown in the sink. Good for you! Thanks for sharing Sandra! We’re so sorry that you had difficulty with this blog post. To summarize it for you, stains can build up on our teeth from the foods we eat, the beverages we drink, and some of the habits we have (like smoking). So, if we simply whiten our teeth without addressing these reasons why our teeth became discolored in the first place, the stains will just return, and we’ll have to whiten our teeth, and then the stains will return again, and we’ll have to whiten our teeth again, etc. As we see it, the first step to whitening your teeth is to identify which foods, drinks, and habits you regularly partake in that cause discoloration. Then, see how you can modify your behaviors or techniques to reduce the likelihood of stain accumulation on your teeth. This way, once you whiten your teeth, they stay white longer. For example, tea (hot and iced), coffee, and wine are common teeth-staining culprits. If you consume these regularly, can you drink them through a straw (glass straws can be purchased online) so the liquids touch your teeth less as you drink them? Or, can you swish clean water around your mouth/teeth after drinking tea/coffee/wine to rinse these staining liquids away and reduce their discoloring power?